Is the aim of the translator to represent an original or rather to create a product where the translator's subject position is deeply inscribed in every utterance and continually (re)constructed as discourse unfolds? 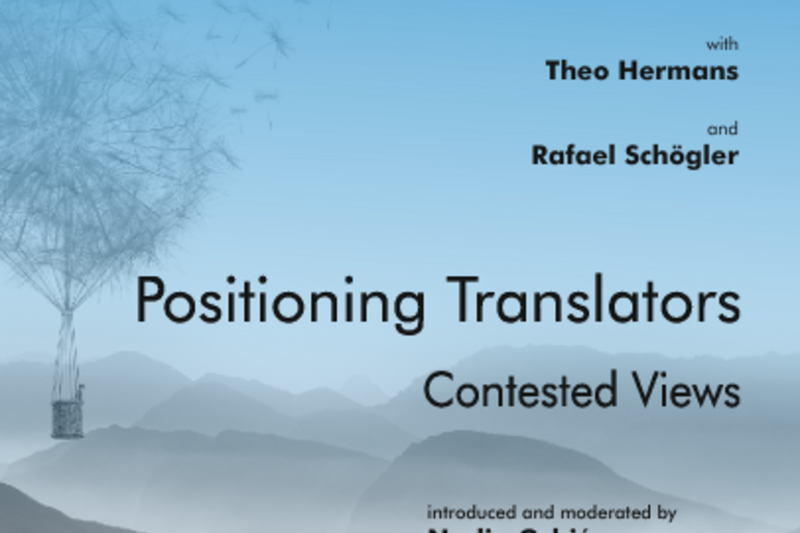 This DISPUTATIO will explore the heuristic potential of the concept of "positioning" for Translation Studies. 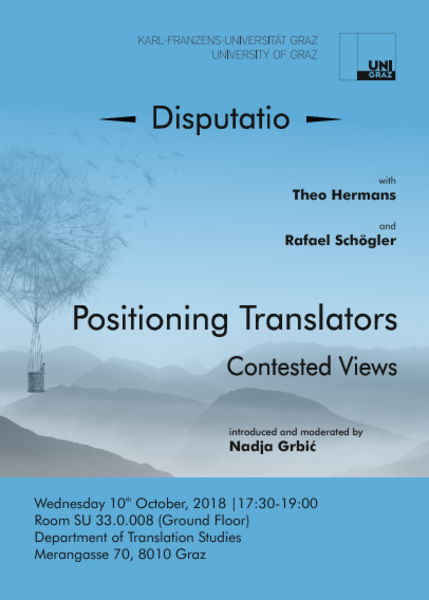 Theo Hermans, distinguished scholar and director of UCL's Centre for Translation Studies, and Rafael Schögler from the Department of Translation Studies in Graz will discuss the strengths and limitations of this concept, relating their arguments to past and present examples where translators' and interpreters' positionality was challenged. 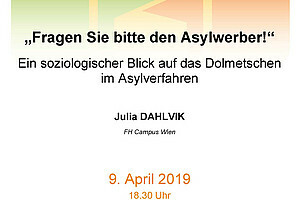 They will address social, ideological and discursive forms of positioning that become evident in how translators and interpreters deal with the current brutalization of language, extremist views and populist discourse.